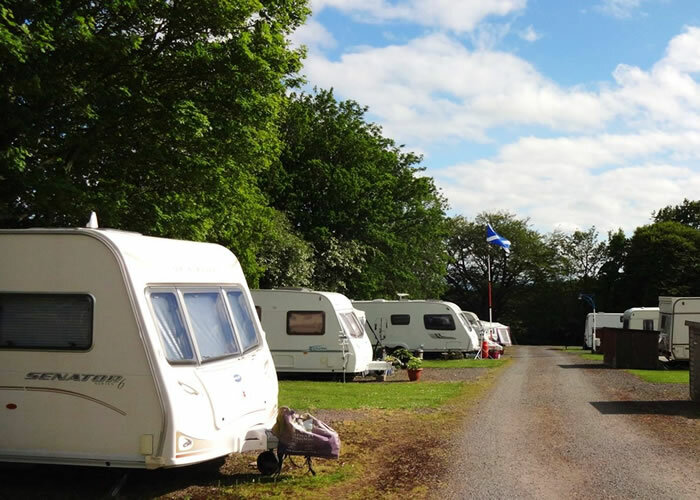 The touring Caravan and Camp park today sits in the grounds of Cove House (formerly Dunskellie Castle) in the grounds of Cove Estate. Sited above the Kirtle Water, renowned for its trout fishing – free to all site guests. Coarse fishing is also available on site for a small fee, payable at reception. 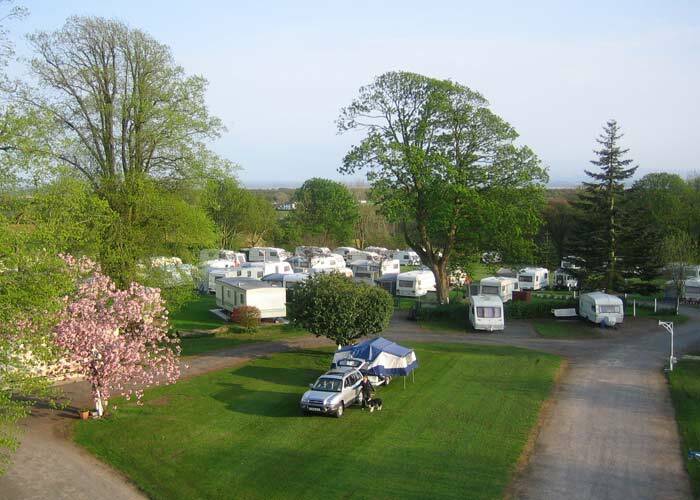 The Park is set in open countryside, bordered by native trees with views across the Solway Firth to the Cumberland Hills beyond. The Park has an excellent children’s play park and football pitch set in it’s own area so as not to disturb guests wishing a relaxing stay. The grounds are also home to an abundance of wildlife such as red squirrels, king fishers, woodpeckers, roe deer, foxes and buzzards to name a few. 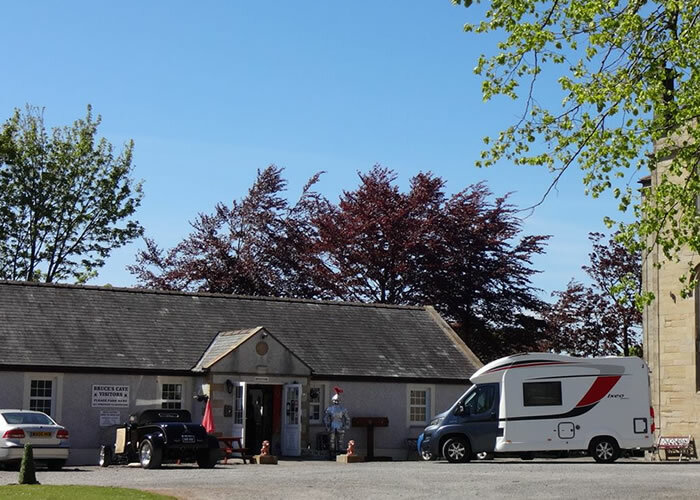 You can be sure of a warm welcome when you arrive at King Robert The Bruce’s Caravan and Camp Site in south west Scotland. The site office: The site reception / shop supplies essentials such as milk as well as sweets and souvenirs. Open from 9am to 6pm Monday – Saturday, 9.30am to 5pm Sunday. Later opening hours in the Summer Season. Dogs: Dogs are welcome but must stay on leads. There is a dog walking area alongside the river. 6 amp electric hook up, no electric heaters allowed. 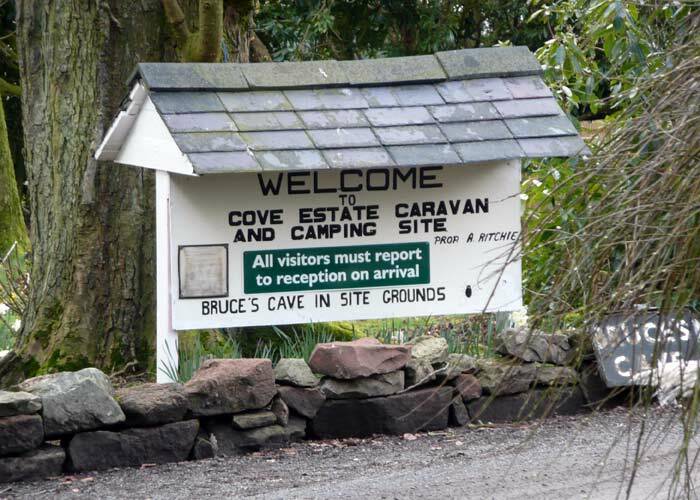 © Copyright 2017, Bruce's Cave Caravan & Camping Site. All Rights Reserved.